Make workplace conflict resolution a game that EVERYBODY wins! Recent studies show that typical managers devote more than a quarter of their time to resolving coworker disputes. 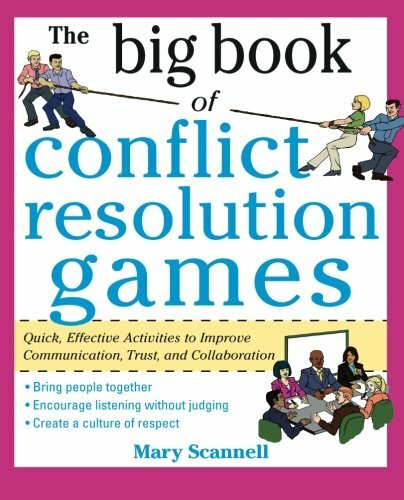 The Big Book of Conflict-Resolution Games offers a wealth of activities and exercises for groups of any size that let you manage your business (instead of managing personalities). Part of the acclaimed, bestselling Big Books series, this guide offers step-by-step directions and customizable tools that empower you to heal rifts arising from ineffective communication, cultural/personality clashes, and other specific problem areas―before they affect your organization's bottom line. Dozens of physical and verbal activities help create a safe environment for teams to explore several common forms of conflict―and their resolution. Inexpensive, easy-to-implement, and proved effective at Fortune 500 corporations and mom-and-pop businesses alike, the exercises in The Big Book of Conflict-Resolution Games delivers everything you need to make your workplace more efficient, effective, and engaged.